Fullerton Police Department. MyNewsLA.com photo. A large truck crashed it into an apartment building in Fullerton Sunday, seriously injuring the driver and making five housing units uninhabitable. “A total of five apartments in the complex were evacuated, and they have been deemed uninhabitable due to safety concerns,” Radus said. 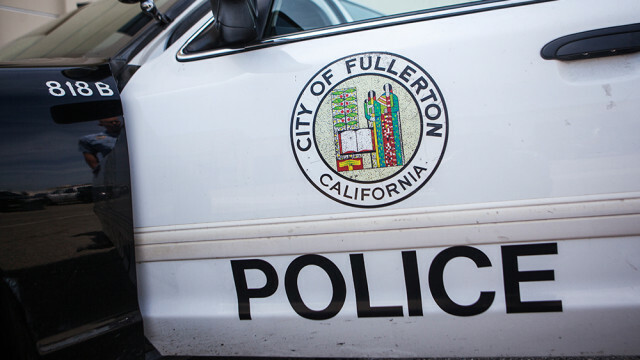 The crash was in the 600 block of East Imperial Highway at about 6 a.m.
Imperial Highway was closed between Harbor and Brea boulevards in both directions, said Fullerton police Lt. Mike Chelbowski. The truck, owned by Bhandal Bros. Trucking in Hollister, remained inside the structure. The driver of the Volvo tractor, a 44-year-old man, and his passenger, a 42-year-old woman, were taken to a local trauma center, Radus said. The driver had been driving east within the speed limit in the right-hand lane when it suddenly veered right, struck the south curb line and smacked into the apartment complex, he said. 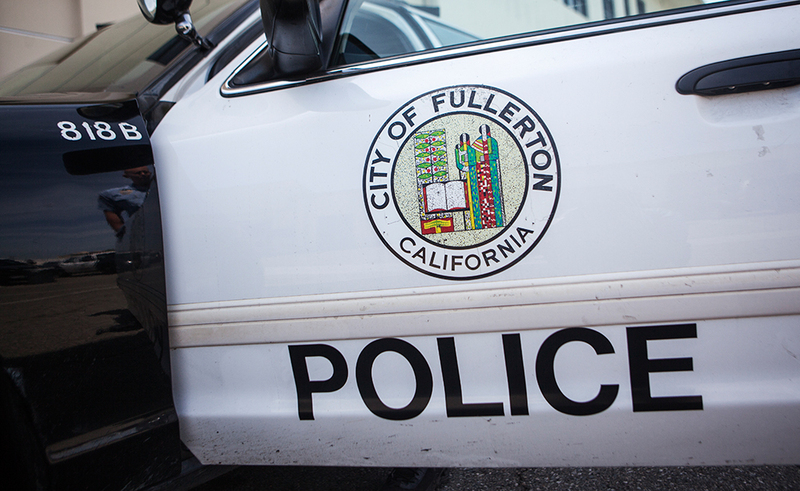 Fullerton police accident investigators asked anyone who saw the crash to call them at (714) 738-6813.